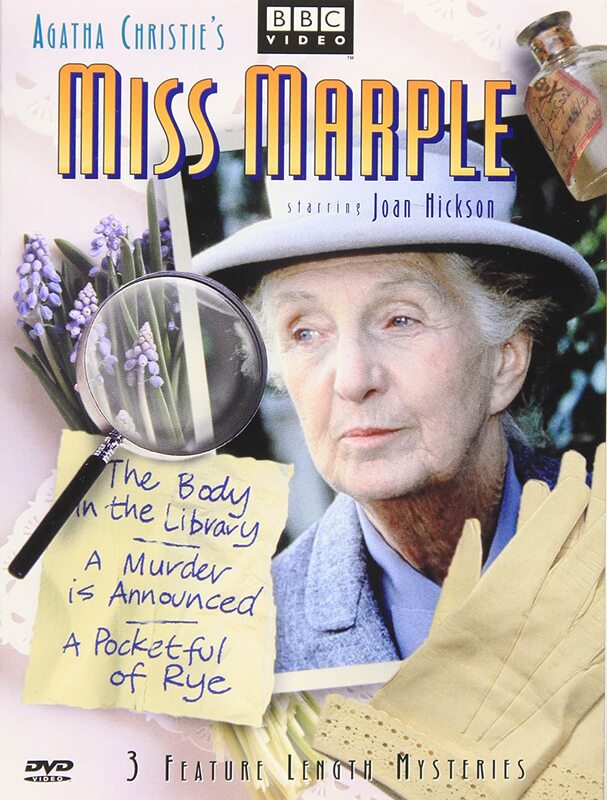 When reading or watching Miss Marple, I have always paid special attention to clothing and accessories worn that reflect the time and setting. Her wool skirts, cotton stockings, blouses, cardigans and tweed jackets, gloves, hat, shoes, jewelry, hairstyle- I notice them all. This week, I have placed an order by catalouge (the on-line variety) for a wool skirt, black cotton tights and a wool hat. I do not intend to dress as an elderly woman,(although I have been mistaken for one!) but to incorporate little Marple-isms into my wardrobe. Next I will order for myself violet essence – an old fashioned scent that Miss Marple might have worn when she was younger.